When it comes to auto insurance in Ontario, “full coverage” may mean something different to every driver. While the province requires insurance on all cars using public roads, the amount of insurance mandated by law is minimal. Vehicle damage may only be covered when another driver causes an accident, and incidents such as fire, theft and weather damage aren’t covered at all. Full coverage for most motorists includes collision and comprehensive coverage. Collision provides relief for the driver when their vehicle receives damage in an accident, regardless of how the accident happened. Comprehensive coverage provides protection against many non-collision events causing damage or loss. Still other drivers count on additional endorsements and coverage to make a full coverage insurance package. Since every insurance company operating in Ontario has leeway to determine what products and features it offers, these also impact just what a full coverage insurance policy means. The Financial Services Commission of Ontario, overseer of the auto insurance industry, provides an informative online brochure explaining more about car insurance in the province. 1 What does full coverage insurance mean? 2 Is comprehensive insurance included in full coverage? 3 What does all perils mean in car insurance? 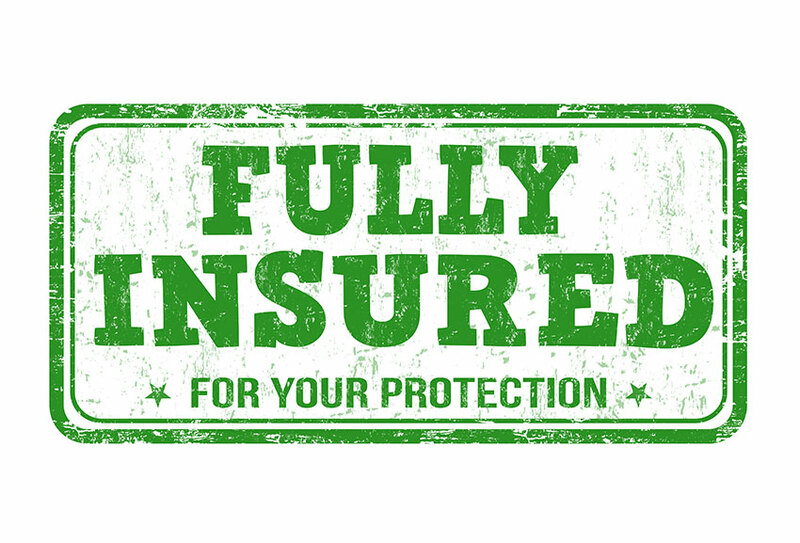 What does full coverage insurance mean? 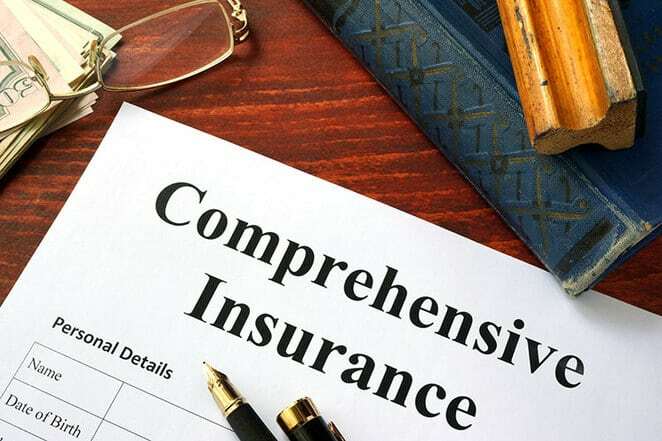 At its most basic, full coverage could refer to the four elements of insurance offered in the statutory auto insurance package, although most drivers likely think of this as minimum coverage. This mandatory coverage, however, represents the basis for any Ontario auto insurance policy. To legally driving a car, it’s the full requirement, despite its lack of owner protection. Let’s look at the provisions of statutory coverage, since all policies include these. There are four sections to basic auto insurance in the province. Third Party Liability — all auto insurance in North America grew from the need to protect others from damages caused by a driver and their vehicle. Ontario’s minimum requirement remains outdated in dollar value coverage. Most drivers opt to purchase third party liability of $1 million or more. This protects against large insurance settlements in the case of serious accidents. Accident Benefits — these protect a driver and vehicle occupants against health and rehabilitation costs not covered by provincial health care. Income loss, death and survivor benefits also fall into this insurance class. Accident benefits pay out from the driver’s own insurer, regardless of accident fault, to prevent delays in payments due to legal proceedings. In June 2016, Ontario reduced some amounts of coverage while introducing the option to top up coverage. Direct Compensation-Property Damage — also a no fault insurance feature, a driver’s own insurer pays for car repairs in certain accident situations, no matter which driver caused the collision. Uninsured/Under insured Driver — this section applies to incidents where the other driver has no insurance. Hit and run collisions, where the other driver’s identity remains unknown, also falls into this category. Finally, the policyholder receives protection against a driver with insufficient liability insurance to cover a settlement. Since a car represents a large investment for most drivers, as “full” as Ontario’s mandatory coverage is for basic, on-the-road coverage, motorists usually opt for more protection. The most common additions to basic coverage include collision and comprehensive coverage. These sections protect the policyholder against damage or loss. Collision or Upset coverage: Generally known as “collision,” this section protects against most incidents occurring to a driven vehicle. This includes collisions with object and other vehicles as well as overturning — also known as “upset,” from its proper name. Recently, a vehicle parked on an Ottawa street fell into a sink hole that opened at a construction site. Though the driver was not in the vehicle, nor was it being driven, the insurance claim came under collision coverage. Comprehensive coverage: Though not quite covering everything else, comprehensive insurance pays for damage and loss resulting from events other than collision or upset. These most frequently include theft, attempted theft, fire, vandalism, floods, lightning, hail or windstorms. If a car suffers damage from parts falling off an airplane or from a missile impact, yep, those are covered too. Is comprehensive insurance included in full coverage? Yes. Comprehensive coverage is part of what most motorists, insurers and other interested parties consider full coverage. Motorists who want protection against as much as possible include comprehensive coverage. Insurers want to sell more coverage to satisfy clients and expand their premium base as a hedge against settlements. There are situations where others may have an interest in the coverage on a vehicle. This is most common with financed car purchases and leases. A financial institution that lends money to buy a car may include comprehensive and collision coverage as a condition. Leasing companies almost certainly require coverage to protect their investment. What does all perils mean in car insurance? All perils coverage is a single addition to a policy that covers both collision and comprehensive insurance. There are also some additional situations that it protects against. For example, theft usually means someone unknown to the owner takes a vehicle without their knowledge or permission. All perils covers an owner when someone known to them and using the vehicle with knowledge and permission, steals the car. The FSCO offers the example of a garage employee who takes the car while it’s in for service. Because of the variables that combine to determine insurance prices in Ontario, a truly average rate across the province has little meaning. A driver in Brampton or Vaughan, for instance, may see an insurance rate of $2,000 for full coverage. In Kingston, however, a driver with the same coverage, driving record, vehicle and personal status may pay less than $1,000. Collision, comprehensive and all perils coverage come with deductibles. This is the amount a driver pays before the insurance company contributes after an incident. The policyholder sets the amount of deductible for their policy. An owner opting for a high deductible pays a lower premium than the driver who chooses a low amount. Some insurers sell a policy add-on that removes deductibles entirely. Some drivers may consider this essential in a policy with full coverage for their situation.